The ms Maasdam will take you around the world in a classic cruise liner atmosphere, full of charm, luxury and wonderful experiences. 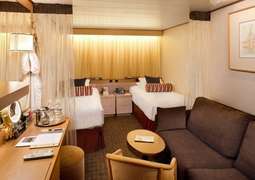 On board ms Maasdam you will find the sort of classic styling and excellent service that will ensure you can make the most of your cruise to destinations all over the world. During the days on the sea you can enjoy wine-tastings, poker tournaments or enjoy a variety of intellectual pursuits in the New York Times-sponsored ‘Explorations Cafe’. At night you can enjoy an array of musicals, shows and performances in the ‘Showroom at Sea’ and perhaps a drink or two in the ‘Chi-Chi Mix Lounge’, which serves a wide range of beverages in a friendly atmosphere. 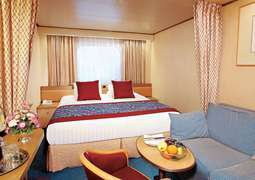 Dining on board ms Maasdam is a superb experience with a choice of different dining styles and cuisines. The ‘Rotterdam Dining Room’ is an elegant way to eat and during formal nights will give you an experience of luxury on the seas. Another way to dine is the ‘Pinnacle Grill’ where you will be able to enjoy fine steaks amongst other Pacific Northwest favorites. The classic atmosphere and charming service in these restaurants are indicative of ms Maasdam experience, making sure you have a cruise you will never forget. 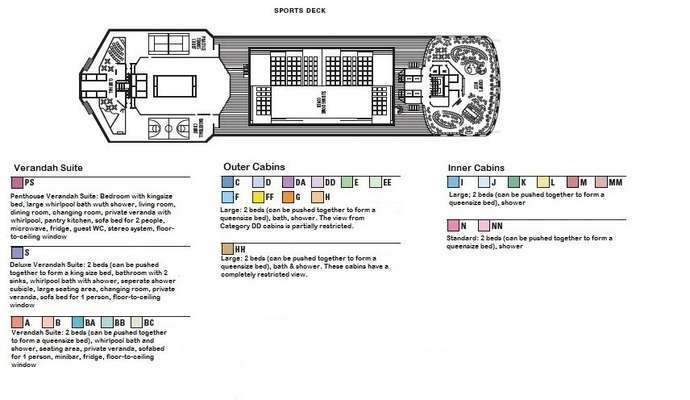 Due to its size, ms Maasdam has fewer passenger cabins than many other cruise ships. 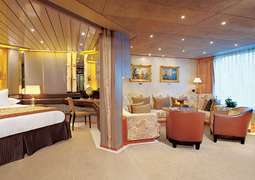 However, this ship will surely exceed your expectations when it comes to luxury on board. 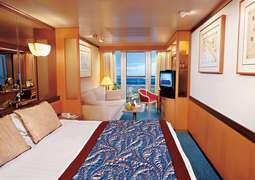 Feel free to choose from five main cabin categories, all of which are bright, pleasantly furnished, and offer more than enough room to relax on your cruise. The smallest cabins are sized at approximately 17 m², the suites are between 27 m² and 52 m² large, and the Penthouse Veranda Suites offer up to 108 m² of pure luxury. No matter which cabin category you choose, your journey aboard ms Maasdam is bound to be a wonderfully unforgettable experience. The restaurants aboard ms Maasdam offer a great variety of culinary offerings. For example, explore continental cuisine in the Rotterdam Dining Room, including low-carbohydrate and vegetarian options. The Pinnacle Grill is known for its excellent steak and seafood dishes, among others. A fantastic selection of wines is also available. ms Maasdam offers a diverse entertainment programme. Watch gourmet chefs show off their tricks and sample their specialities in the Culinary Arts Center. Guests looking for a little educational enrichment on their holiday can take courses in a variety of topics, such as how to take and edit your beautiful holiday photos. Equally diverse and age-appropriate entertainment programmes are also provided for children and teens. Set your soul at ease in the Greenhouse Spa & Salon, where you can let yourself be pampered with a face massage or try out a fabulous new hairstyle for a special occasion. Guests aboard ms Maasdam are welcome to wear casual clothing at their leisure. Long trousers and shirts are recommended for men, and long trousers or casual evening wear is recommended for women. Suits, smoking jackets, cocktail dresses or evening gowns would be appropriate for more formal evenings. All persons under the age of 18 must to be accompanied and supervised by a parent or guardian throughout the duration of the journey.